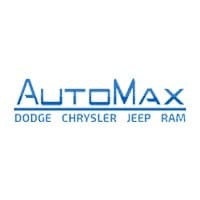 AutoMax Dodge Chrysler Jeep RAM has a great Service Department that offers brakes, oil change, and tires service and repair in Oklahoma City, OK. We have several different options when it comes to Chrysler, Dodge, Jeep, RAM tires for sale to put on your new or used vehicle. Buying Chrysler, Dodge, Jeep, RAM tires is a significant purchase and we are honored you are considering AutoMax Dodge Chrysler Jeep RAM in Oklahoma City, OK. Our service professionals will make sure your wheels and rims are back on the road in no time. If your Chrysler, Dodge, Jeep, RAM vehicle needs tires, call the Service Department today in order to schedule an appointment. Once we learn about your car’s needs, we will be able to give you a cost estimate and expected time that we will be finished. Feel free to browse around our website to learn more about available services besides purchasing and mounting tires.